Aaron Ramsey will leave Arsenal at the end of this season and Unai Emery has already identified a replacement in the French Ligue one. Arsenal will be busy in the summer transfer window and one of their main objectives will be finding a replacement for Aaron Ramsey who will join Juventus at the end of this season. Multiple reports claim that Unai Emery has identified Christopher Nkunku as a potential replacement for Aaron Ramsey. Christopher Nkunku is currently playing for Paris Saint Germain but the 21-year-old wants to get more game time since the French Ligue one champions have some stars that he can’t easily bench at this time. This isn’t the first time that Christopher Nkunku has been linked to Arsenal because reports in January claimed that the gunners would sign the youngster in the winter transfer window if Aaron Ramsey was to leave before the end of this season. Unai Emery has now received a boost in his pursuit of Christopher Nkunku as the players’ agent has said that the young central midfielder is open to a move away from Paris Saint Germain because of lack of game time according to Football.London. It is reported that Christopher Nkunku has rejected a new contract from Paris Saint Germain because he knows that he has a few chances of becoming a regular in Thomas Tuchel’s first starting eleven. Christopher Nkunku is a highly rated central midfielder that is sometimes seen as a possible replacement for Aaron Ramsey. The young PSG star has scored three goals and made two assists this season in the French Ligue one and it’s claimed that Unai Emery believes that he could impress in the Premier League. 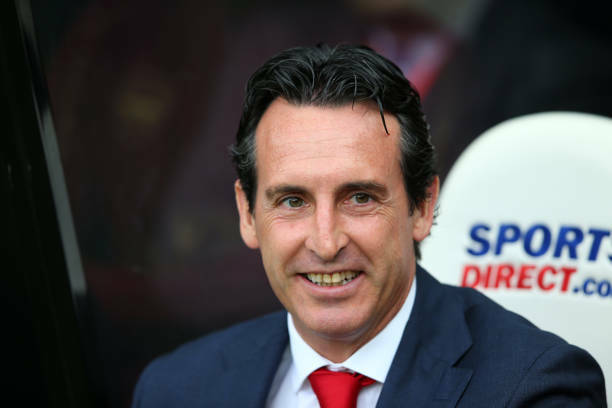 Unai Emery has already surprised everyone by giving Matteo Guendouzi a good number of appearances in the Premier League so it wouldn’t be a surprise if he brought Christopher Nkunku who is also a young Frenchman.